Coralina Del Mar | Bienvenidos! Welcome to Coralina Del Mar! 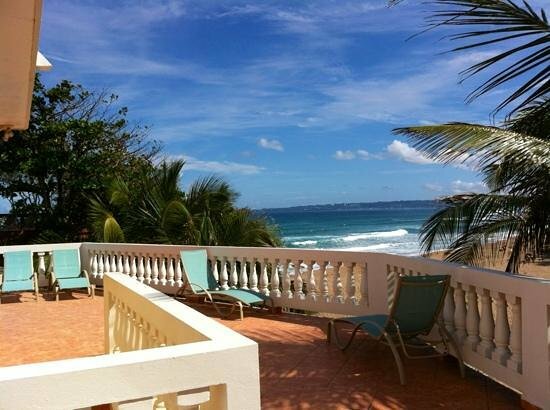 This gorgeous beach house lies on the edge of one of the most beautiful beaches in the Caribbean, Sandy beach. 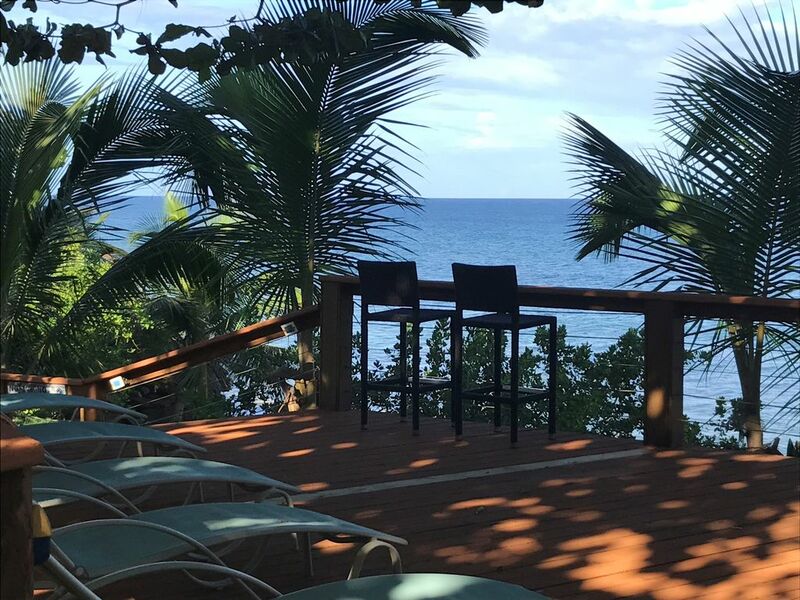 At this villa, the deep blue waters of the Atlantic Ocean, blends with the beautiful turquoise waters of the Caribbean Sea providing different shades of colors that will take you breath away and make you feel very pleased with your choice of property. 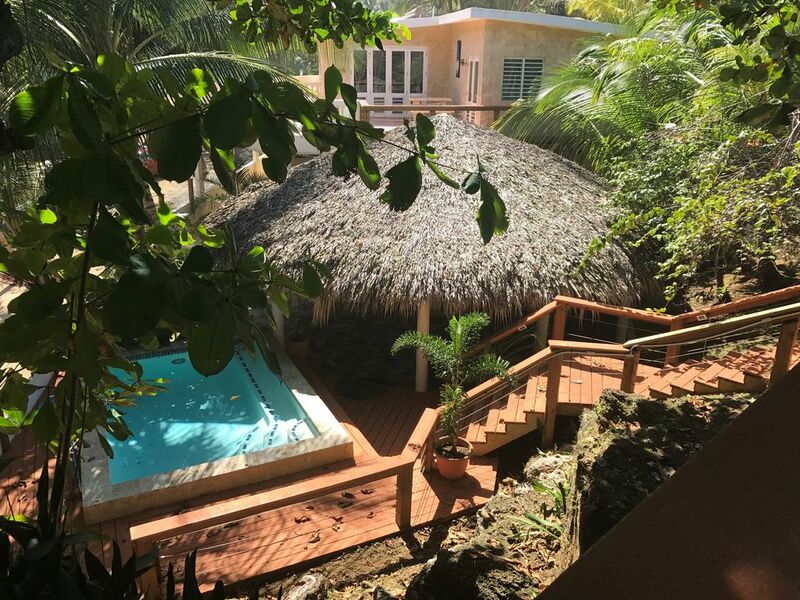 This villa provides a gorgeous, serene and tranquil atmosphere that you will find very relaxing and peaceful as you unwind and relax with your family and friends. Whether lounging on hammocks beneath the thatched palapa (approx. 750 sqft. ), or whale watching from the 2,100 square foot deck on the bluff, this home is an exquisite getaway. This setting combines Rincon’s world famous surfing beaches with its famous sunsets while in view of Desecheo Island. 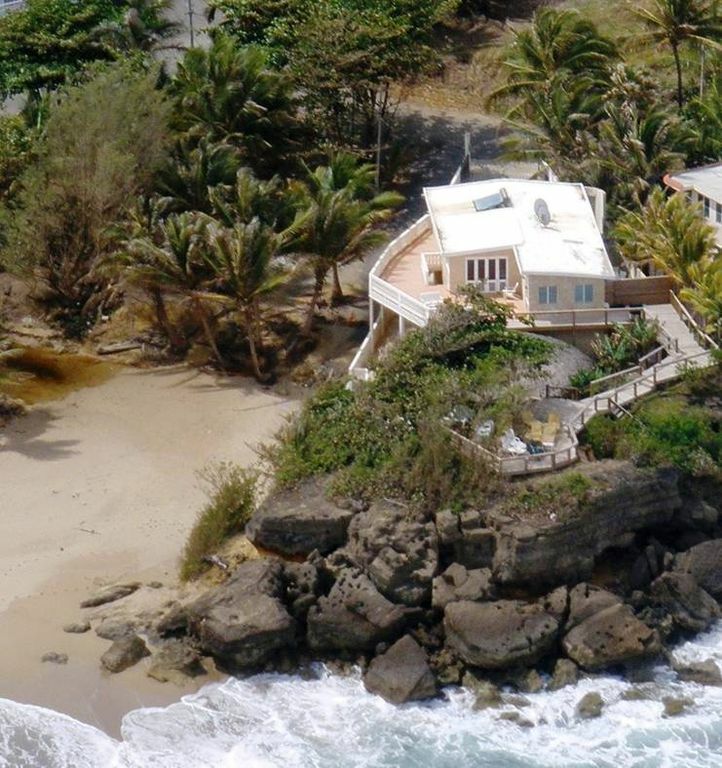 A large amazing house on a beautiful beach! My husband and I met while staying at Coralina Del Mar on a group trip a few years ago, and recently stayed there again for our wedding. 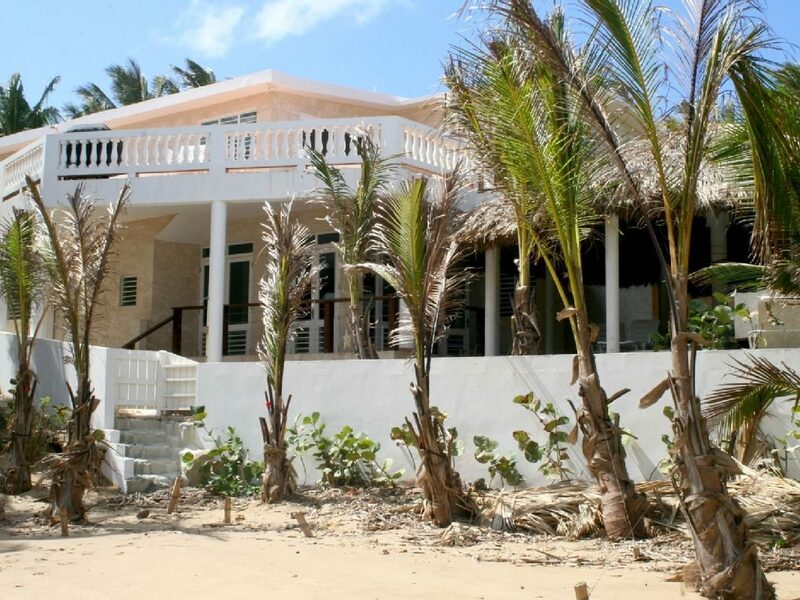 The location is absolutely amazing, as the house sits right on Sandy Beach. There is a large outdoor gazebo with hammocks and couches, right next to its small but fun pool. The large upper deck area has sunbeds for relaxing in the sun and overlooking the beautiful view. The house interior is large, spacious and comfortable with all of the essentials. 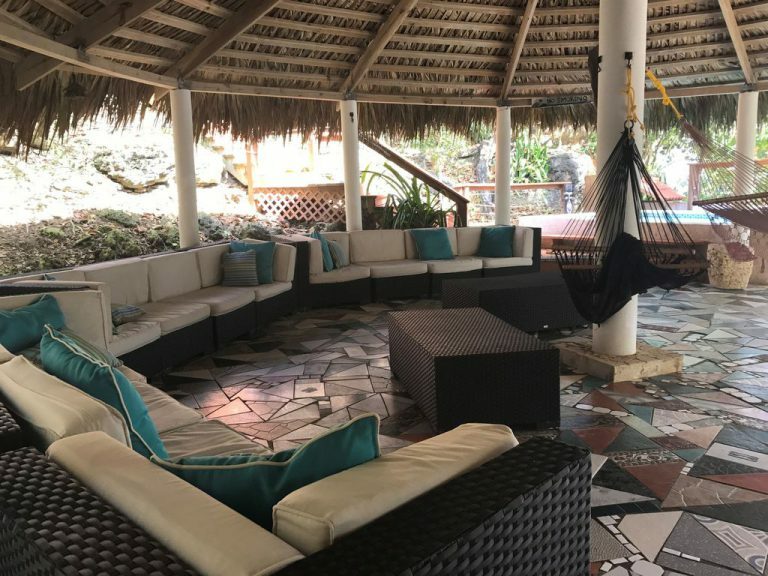 There are a few fun bars and restaurants within walking distance, and a short drive to downtown Rincon. Overall, I would definitely recommend staying at Coralina Del Mar. It will always have a special place in my heart, and my husband and I will definitely stay there again. 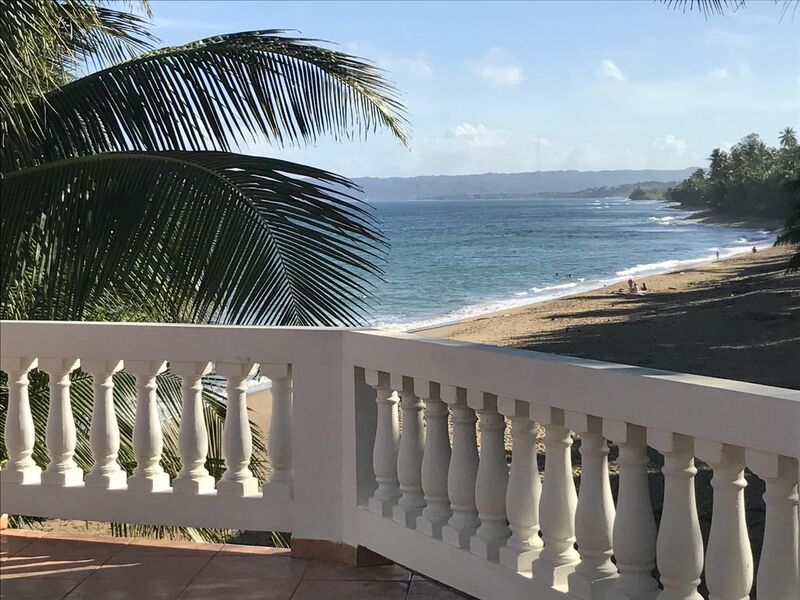 This is the third time we have stayed at Coralina Del Mar.... we can't imagine staying anywhere else in Rincon! 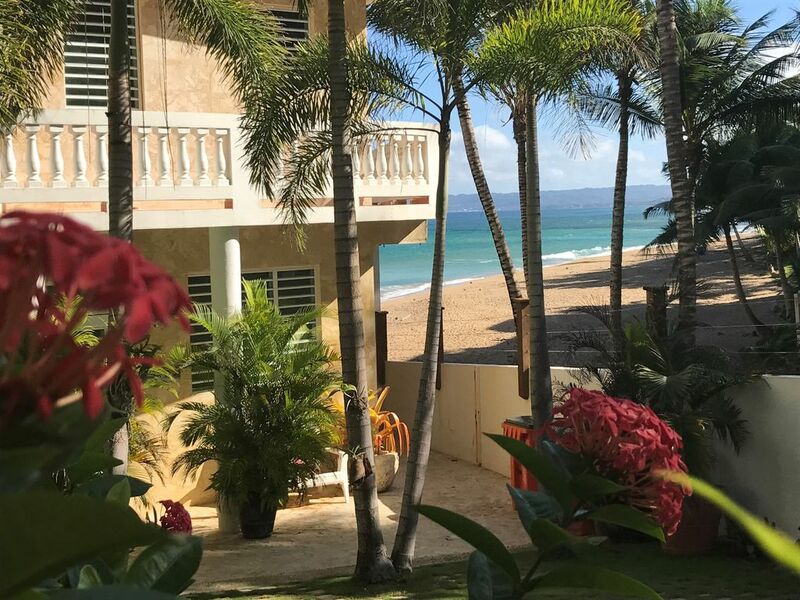 it's perfectly situated on the edge of Sandy Beach, within walking distance to several great bars, restaurants, shops, etc. The outdoor space is the best...plenty of room for everyone in our large group to relax...whether you want to nap in the hammock under the shaded pavilion, or soak in the sun on a lounge chair on the upper terrace, or sit on the upper deck and watch the surf or look for whales or just take in the spectacular view. The indoor space is well appointed...the kitchens are supplied with just about anything you'd need...the beds are comfy and there were plenty of towels provided. The owners are very friendly and accommodating. Overall, I would highly recommend staying here...we'll be back again next year, I'm sure! Leave us your details, and the owner will be in touch with you shortly!